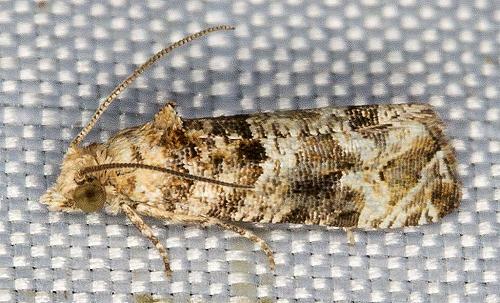 The adult moth has brown forewings with patchy bands. The hindwings are pale brown, darkening towards the wingtips. The wingspan is about 1 cm. Volume 25 (1901), p. 77.